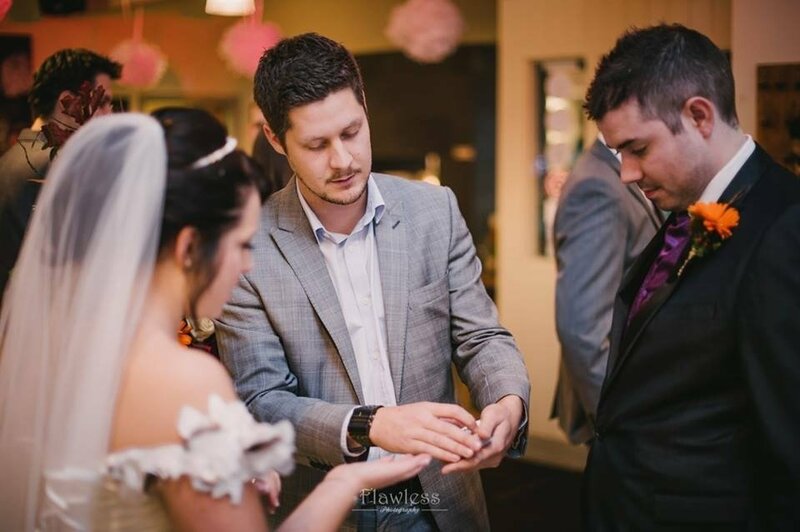 Mat Black is a professional magician who specialises in modern 'Close Up Magic'. 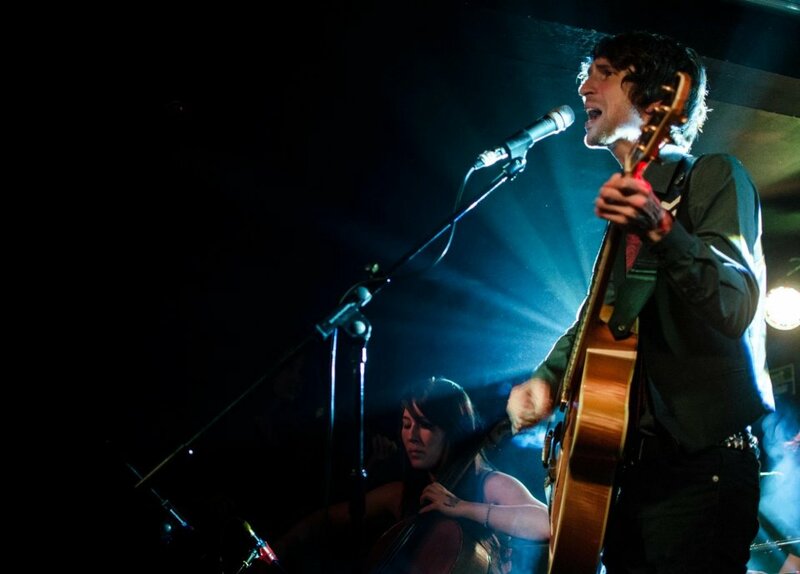 He has performed at a huge range of events over the last decade and has developed a unique approach to delight and amaze his audiences. 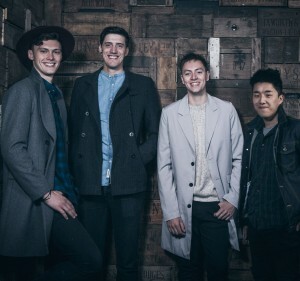 From house parties to prestigious venues and even celebrity weddings, you can hire Mat to entertain guests of all ages. Number of Reviews and Counting... 19! 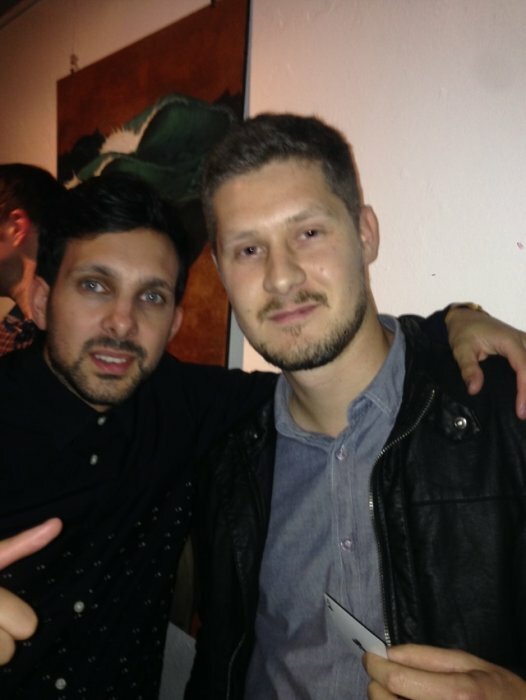 Modern 'Close Up Magic' is the kind of magic popularised by magicians like Dynamo and David Blaine. 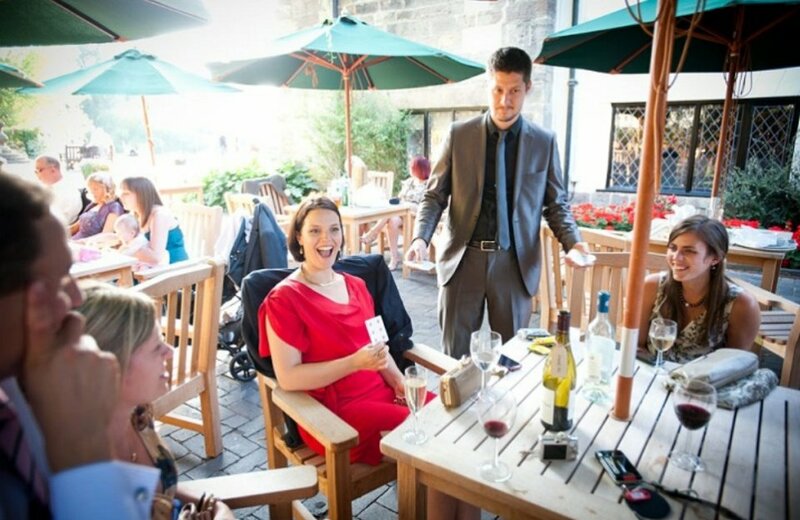 Mat performs a similar style of magic but with his own unique persona, aiming to amaze your guests and leave them with an experience to remember. There are no camera tricks when you experience this kind of magic live! The ultimate praise for a magician is the inability of the audience to have any idea how he performs his trade. In this case, not one person could work out how the tricks were performed. Top notch quality performance that left the guests talking about it for hours. Everyone really enjoyed having Mat on the boat. He arrived promptly at the venue and consulted with me on the plan for how he would demonstrate his magic on the boat. 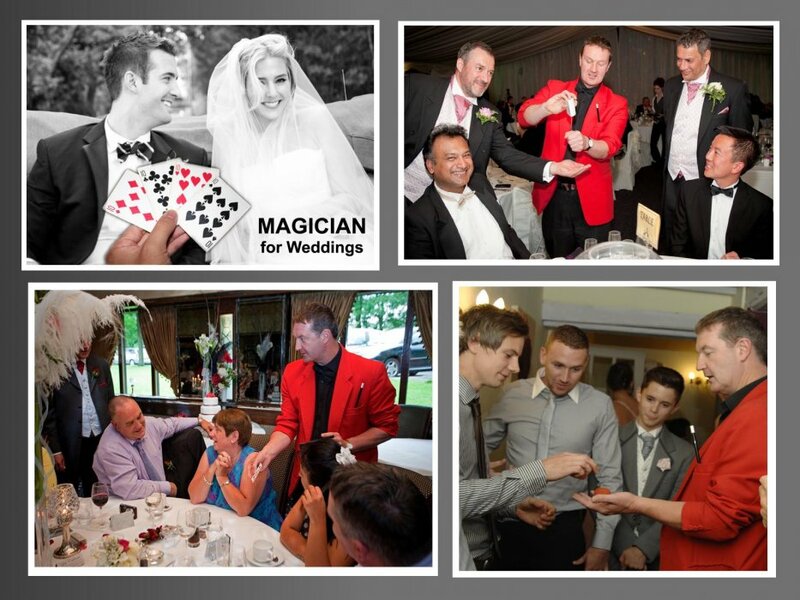 The close-up magic was really fantastic and had the guests in awe, especially some of our younger guests! He blended in very well during the event and was very easy to talk with as well. We would highly recommend him to others! 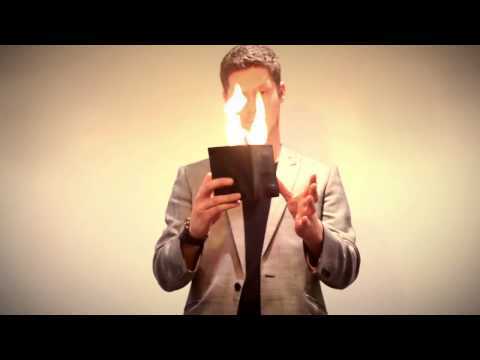 I booked Mat Black through Warble Entertainment after seeing what he could do in close up magic on the Warble website and internet. Not having hired a magician before, I was not sure on what we would get when the date of the party arrived. We wanted someone to mix and mingle with guests as the evening went on. I was pleasantly surprised when Mat called me and we had a chat, not only did he come across as a nice guy - he was very professional in how the night was discussed and talked me through how he would approach it. When it came to the evening of the party, Mat text me to let me know he was at the venue and then came in and introduced himself. 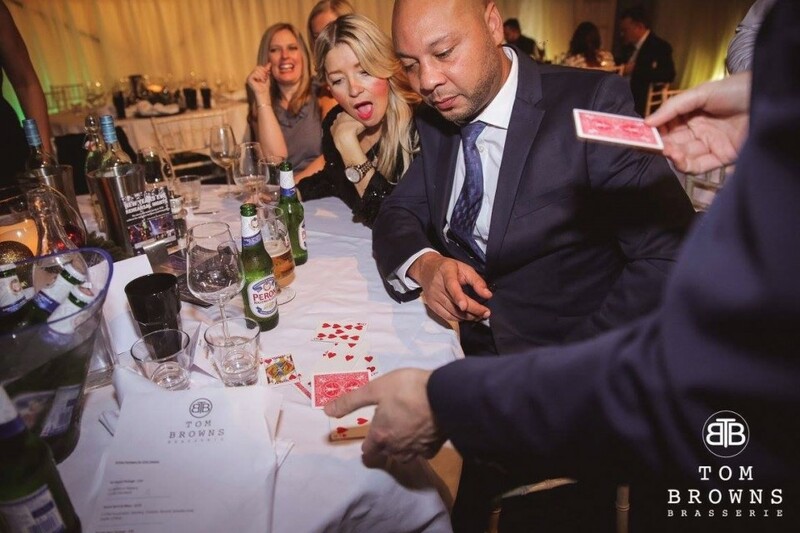 Once the party was started it did not take long for all our guests to be wowed by Mat's tricks, it was certainly the highlight of the night, which was our intention but we do not think it could have been any better. 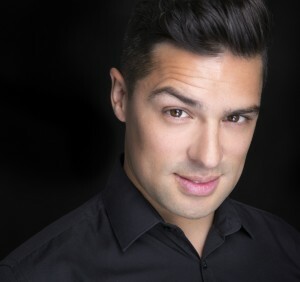 Once his set was complete Mat took time to have a chat and again came across as a nice humble guy that we would not hesitate to recommend to anyone as an act to hire. Thanks for a very memorable evening, which our friends and family have not stopped talking about. Mat was a very friendly guy, was able to quickly adapt to the environment and read the room easily. His tricks were very impressive and still have no idea how he did some of them! It was the perfect balance for our event and fitted well into the corporate drink reception. Feedback from the room was very positive. Mat was on another level when I come to magic. He was magnificent and all the comments I received from the guests were extremely positive. Highly recommended for any event! 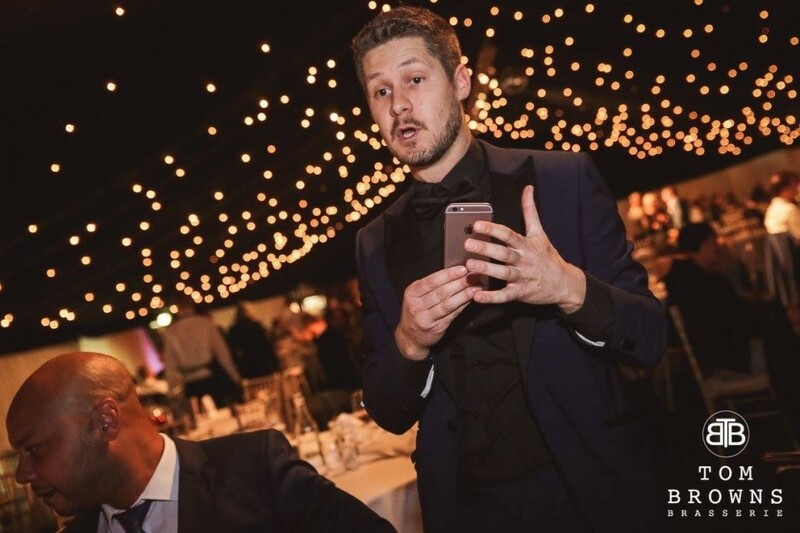 Mat was truly amazing and wowed the group at our corporate event, very slick and professional, I would definitely recommend him and I will be keeping his details for other events within our group. Excellent, arrived on time and great with the guests - would recommend! 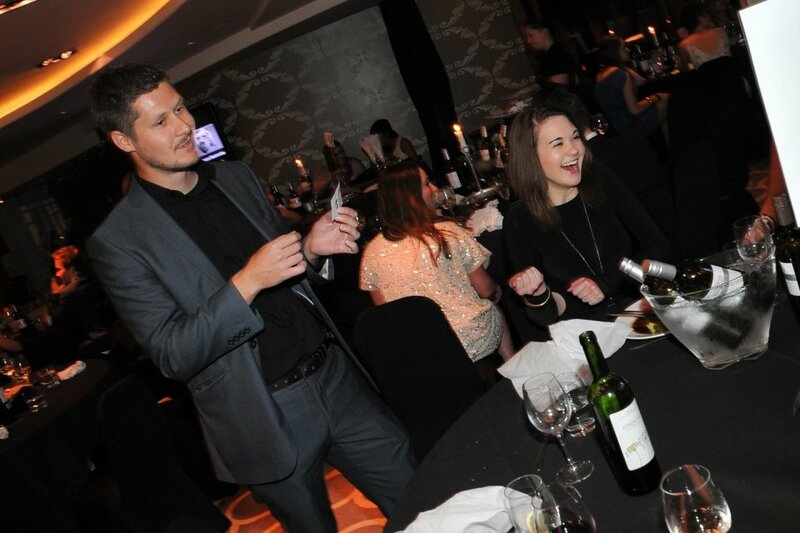 Mat was fantastic and the girls really enjoyed his tricks and his performances at the tables. They are still talking about some of them today and how amazed they were. Thank you so much. Mat is wonderful at what he does and is a great people person and very likeable. 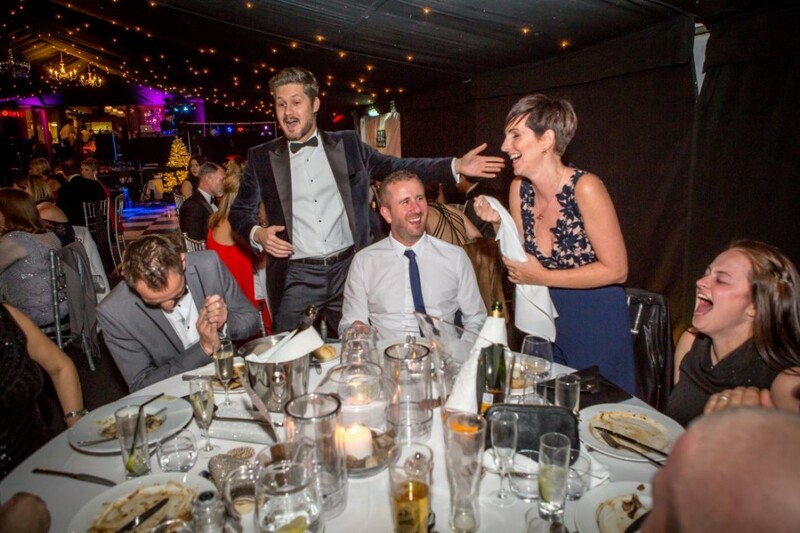 People were thoroughly entertained by his amazing magic during our Corporate Christmas Party. 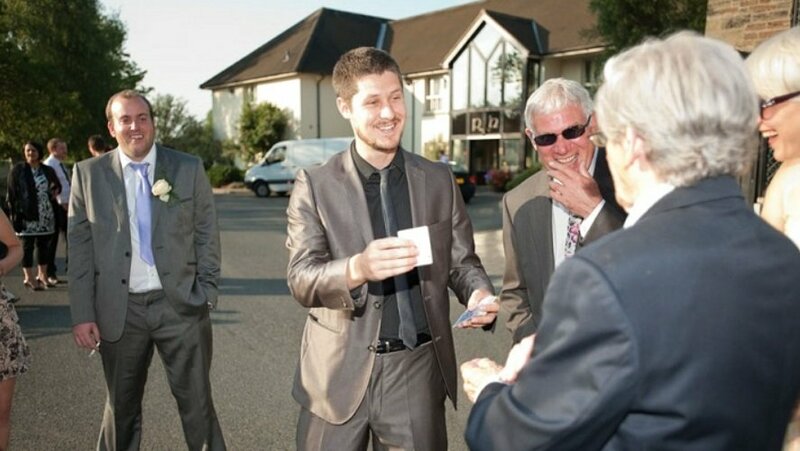 I've had such positive feedback from the guests, everybody rated Mat and his magic very highly! Also, he was such a nice guy and very professional. 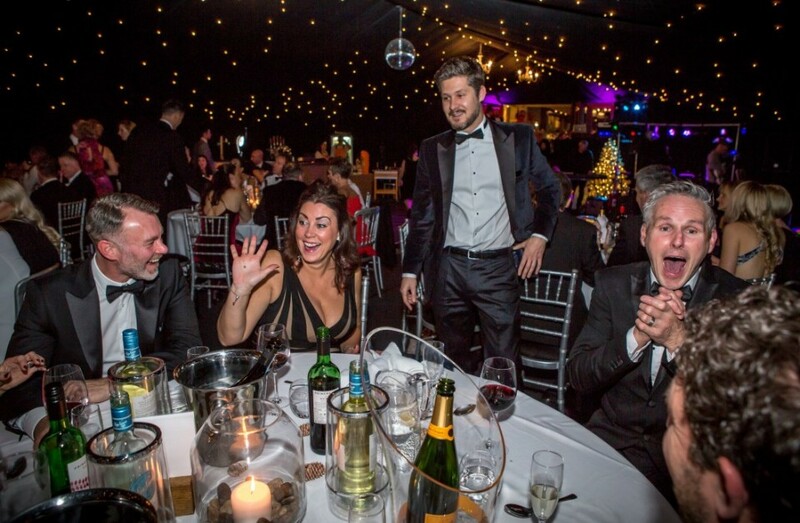 I cannot stress enough how fantastic Mat was - he had the crowd in the palm of his hand throughout the evening and has been the talk of the party since!! Extremely polite and charming. 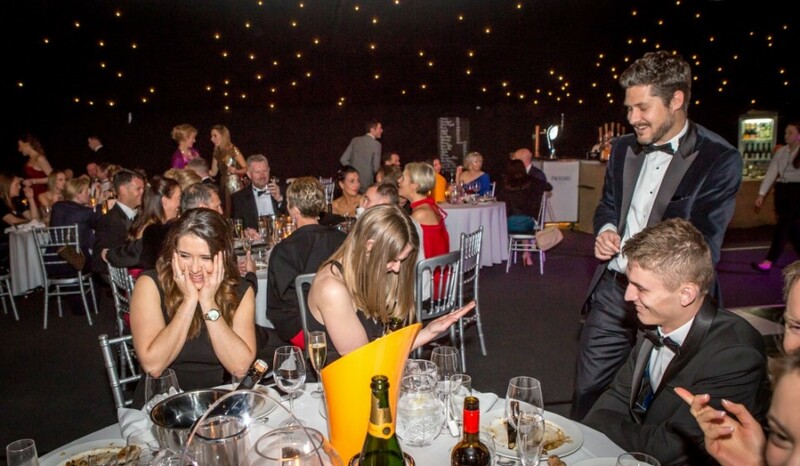 To see peoples faces in utter shock was just fantastic!! 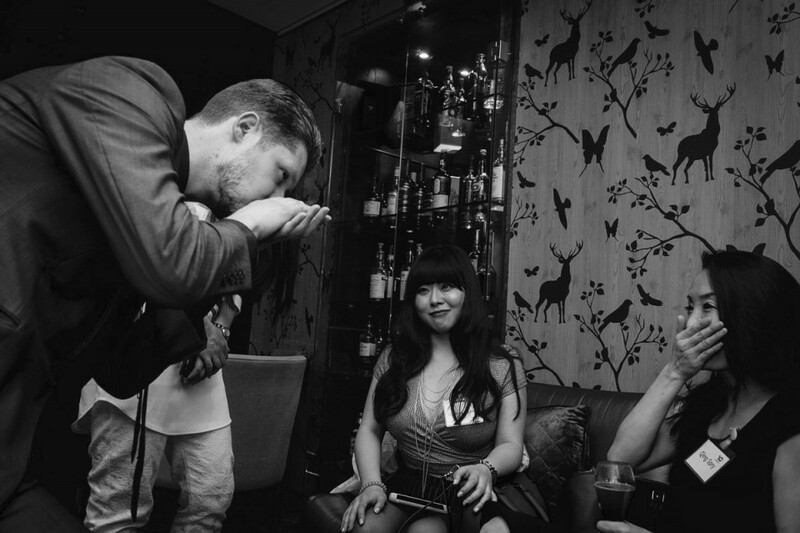 A unique act suitable for any occasion and definitely gets the guests coming together. I'm so pleased that I decided to book him for my 40th and would definitely recommend him to anybody, my only regret was not booking him for longer!! Thanks Mat for making my night so entertaining!!! First of all I would like to say a big thank you for making it special. Everybody was speaking about your magic and skills and they are still talking about it. It was fantastic. I am so happy you enjoyed it. Everybody has said how much they enjoyed it and I am thankful for that. I was really happy with everyone that I chose to help with the wedding but you really made the biggest impression. Thank you!!! We will speak soon for sure, and I am sure we will be in touch again for events etc that we have as you were great! 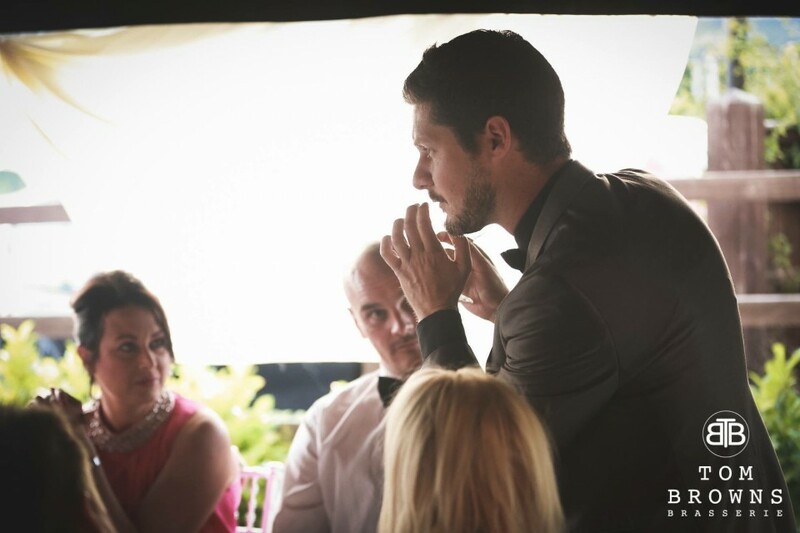 Our afternoon entertainment was a huge success thanks to Mat Black, he amazed all our guests with his magic tricks. He is professional, friendly and flexible. Couldn't recommend enough. Thank you so much. Fantastic guy, great personality. Kept everyone entertained throughout. Everyone was absolutely amazed by the whole thing. Mat was amazing. Everyone said how good he was, and I didn't see him do the same thing twice! Thank you! The companys response to our enquiry was very quick, simple to deal with and would recommend them in the future. Matt Black was a wonderful choice, he contacted me before the occasion and got background information on the company and guests. His act was amazing and everyone was very impressed. Completely unobtrusive and a real ice breaker for an evening. It was a pleasure to meet him. 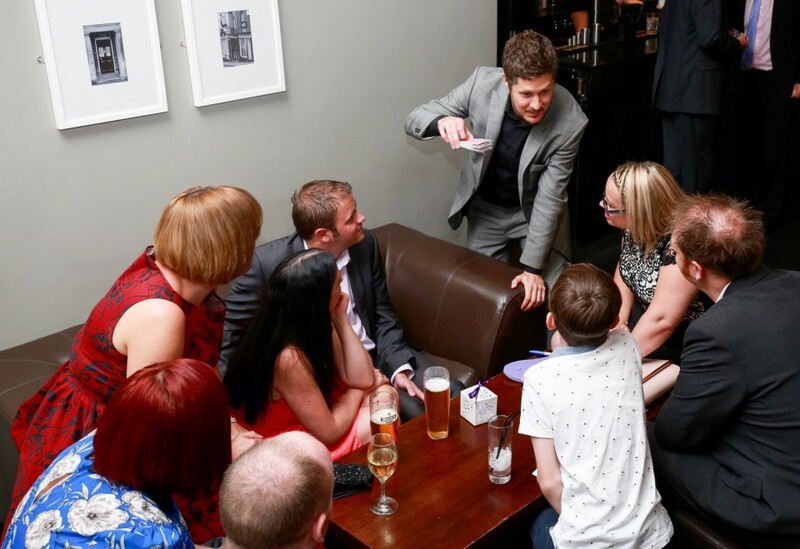 All of our staff thoroughly enjoyed themselves and were amazed by the tricks Mat showed them! They were really blown away and I would definitely recommend him and use him in the future for other events. Thank you! 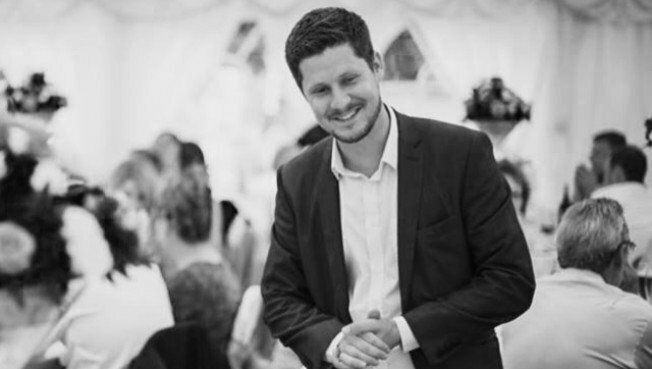 How Can Mat's magic fit our event? 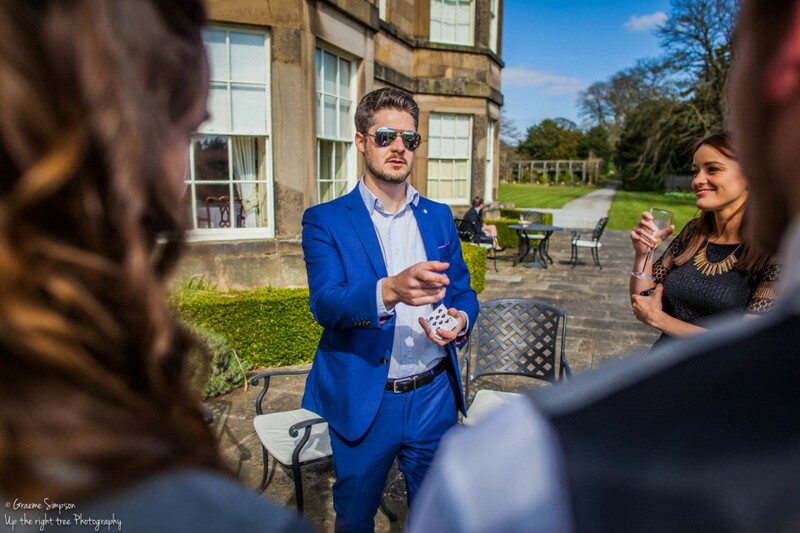 Mat can perform 'walk about' magic, where he mixes and mingles with guests, performing for small groups as they stand or sit enjoying the occasion. This is suitable for garden parties, house parties, festivals, weddings, drinks receptions and most other events. 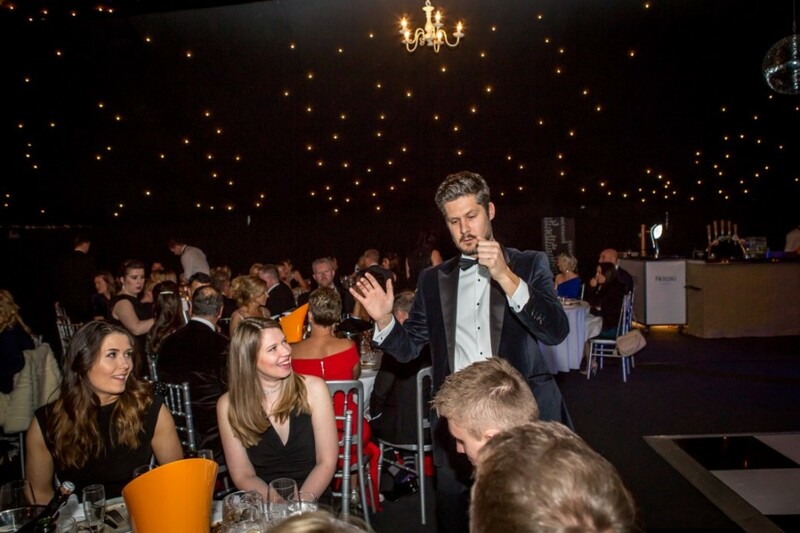 If you're having a celebration dinner like a charity ball, birthday party or important corporate event, Mat Black can perform 'Table Magic' to entertain diners and enhance the occasion. He approaches each table of guests at an opportune moment such as between meal courses, and performs a kind of mini show at the table. This lasts for a few minutes (or longer if appropriate) and consists of the same high impact magic, which amuses and bemuses guests as they await their food or enjoy a coffee. 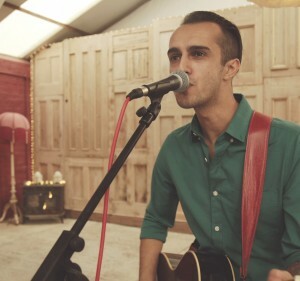 For smaller numbers of guests, Mat can perform for everybody all at once. This is sometimes called a parlour show and can be adapted to your occasion. For example: if your dinner guests are all seated around one large table Mat can split his act up into 2-3 sets, performing a kind of informal show around the dinner and during coffee. Alternatively you can seat your guests or stand them in a big group to watch the show. 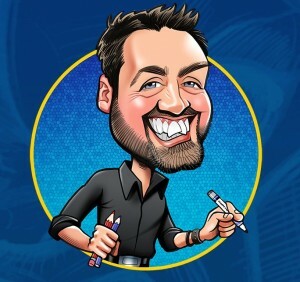 His show consists of the same style of 'Close Up Magic', which has the flow of a polished act but still engages with the audience for that personal feel. 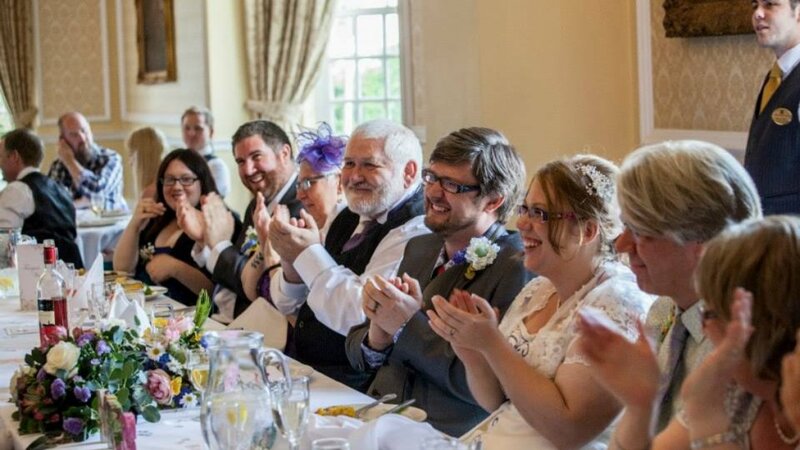 The booking period is 1-2 hours to allow for other proceedings to take place such as speeches or meal service but the performance is usually 2 x 20 minutes. 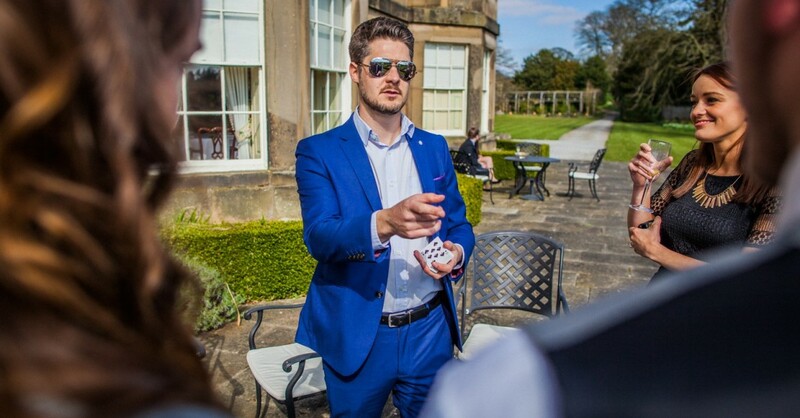 Mat Black performs at events across the UK every week and he constantly develops his act for maximum impact at your event. 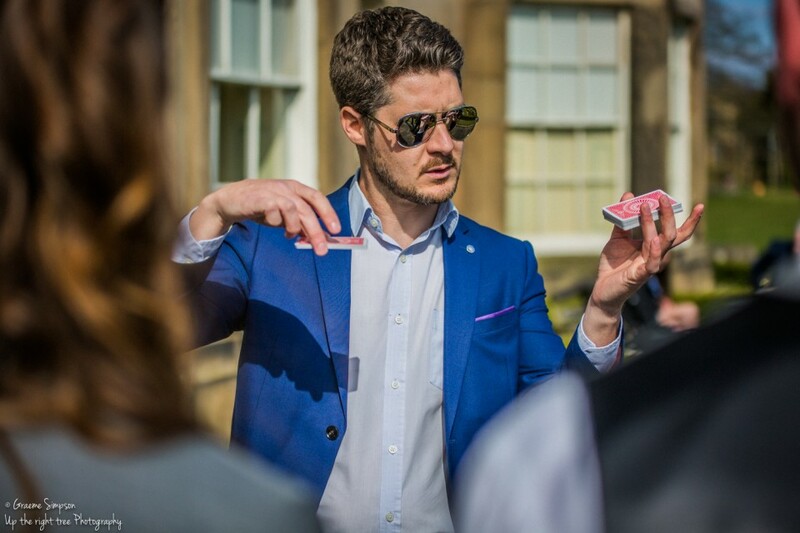 His performances are suitable for all age groups and he has a passion for magic, which often sees him go the extra mile to the delight his clients. 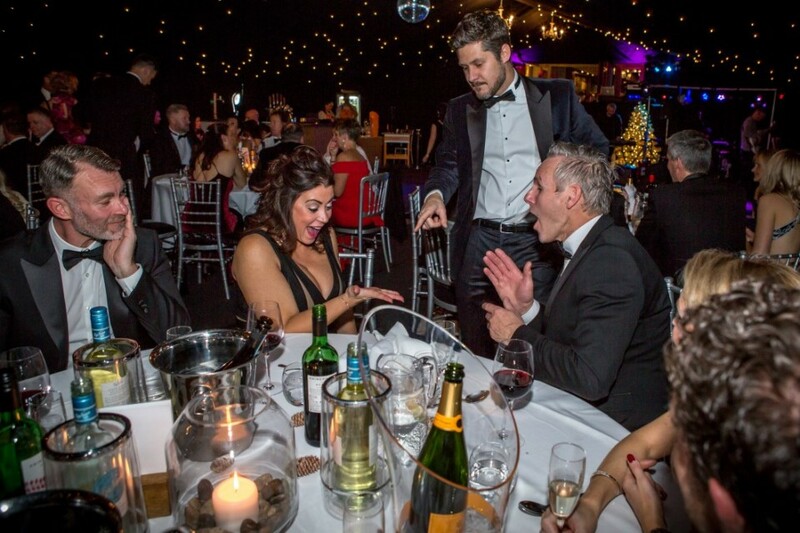 Customers who have enquired for Mat Black have also been interested in the following Magicians who are also available in Nottingham, the Midlands and the South East of England. For more information or further options, please call 0845 643 9384.